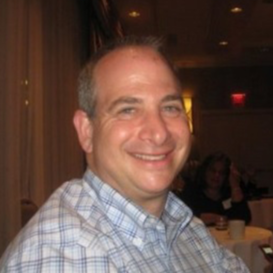 Adam Stein has more than 25 years of marketing and public affairs leadership at semiconductor, networking, security and marketing service firms. He has helped four different early-stage innovators grow to either IPO or achieve a highly-profitable acquisition exit. His most recent role as VP Mobile Product Marketing at SAP helped the company build a cohesive mobile portfolio approach with the SAP HANA Cloud to boost mindshare for its 265,000 customers, and 1,000’s of partners and Global 2000 prospects. Prior to SAP he led Mobile security innovator MobileIron from a 20-person start up to $85m annual run rate and subsequent $823m IPO valuation by scaling sales programs with limited staff, contractors and marketing automation for outsized partner and direct revenue. Before MobileIron, he helped Mu Dynamics create the security testing market that was later purchased by Spirent for $40m. Leveraging his security expertise, Adam helped lead Fortinet as VP Marketing to create and execute programs that helped deliver more than 10% of the company’s annual revenue - 800% revenue return on marketing investment and subsequent IPO that now has a $5b market capitalization. Adam has also held executive Marketing and Evangelism roles for Foundry Networks (acquired by Brocade), Juniper, Broadcom (acquired Epigram) and Networking leaders Cisco and 3Com. Adam began his marketing career in Boston leading marketing services agencies and holds a Master’s degree in Marketing from Emerson College and a Bachelor’s degree in Distributed Sciences from the University of Colorado in Boulder.